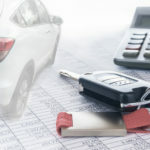 Drawing on its years of experience working with garages, ASC Finance for Business confirms or denies the common finance assumptions in the industry, and explains why working with a broker is so essential. A lot of businesses’ first port of call for finance is the big, high street banks. Garages are no exception – we’ve had many clients come to ASC after they’ve been turned down by major banks initially. However, many businesses think that major banks are the only way to get finance, which simply isn’t true. From up-and-coming platforms like peer-to- peer finance, to standard commercial mortgages and unexpected angles like pension finance, there are many lenders available that offer alternative finance options. Finance can be complicated. Like any highly regulated process, there are often a lot of forms to fill in and lots of information to provide. Looking for finance on your own is often a great way to be buried underneath a mountain of paper. However, keeping finance simple is the exact thing a broker can help with. With a broker, you’ve got someone by your side who knows the process, and can help guide you through it. With the right help, finance applications are often easy as can be. Whether you own a freehold or the leasehold is an important consideration for both businesses and lenders. Buying a leasehold might be cheaper, but might leave you re- buying your own property in the future. Similarly, a business on a leasehold might be better served by raising finance to buy the freehold rather than looking into expanding. However, there’s a prevalent myth that lenders won’t deal with businesses that are looking at buying a leasehold, or already exist on one. This isn’t true – lenders might have different options available depending on if you’re looking on a leasehold or freehold basis, but it’s extremely rare for an application to be turned down purely because a leasehold is involved. Over the years, we’ve helped many garages start up on a leasehold, and helped existing leasehold garages buy the freehold to their property – as long as you have a sound application, the status of the property isn’t a bother to the right lender. Businesses can’t be thought about in general terms, and this is something that always needs to be considered when searching for finance. Different businesses offer different services, and this is most certainly the case in the motor trade. One garage might make the bulk of its turnover on MOTs, whilst another makes money from a small number of high- value bodywork jobs. This will affect your finance options. A garage with a constant lower cashflow will likely not be suited to finance that relies on fewer, higher-value repayments, and vice versa. We don’t have to tell you that knowing your key services is vital to developing your business. However, it’s similarly vital that your broker knows them too – if they know what you offer, then they can help find more suitable finance. If you only take away one thing from this article, let it be this – you’re better off with a broker. Finding a good broker that you know you can trust, no matter who they are, is key to finding the right finance for you. You’re an expert on cars – we wouldn’t tell you how to put an engine back together, and we trust that you know exactly what you’re doing. Trust your broker with the finance – they’re an expert who can translate the ridiculously complicated financial world into something simple and easy for you to understand.